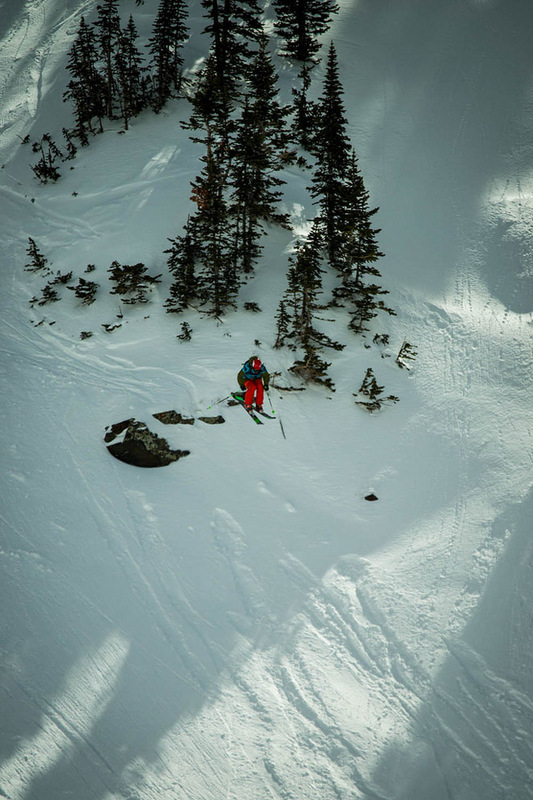 Sam Smoothy continued his hot vein of form on the 2014 Freeride World Tour with a trademark fast aggressive run at Snowbird Resort yesterday for a 3rd place finish. The North American leg of this year’s FWT has struggled to get going, the Revelstoke stop in December was postponed due to avalanche conditions and then the Kirkwood leg had to be moved to Snowbird, Utah as California is experiencing a very low snow year. 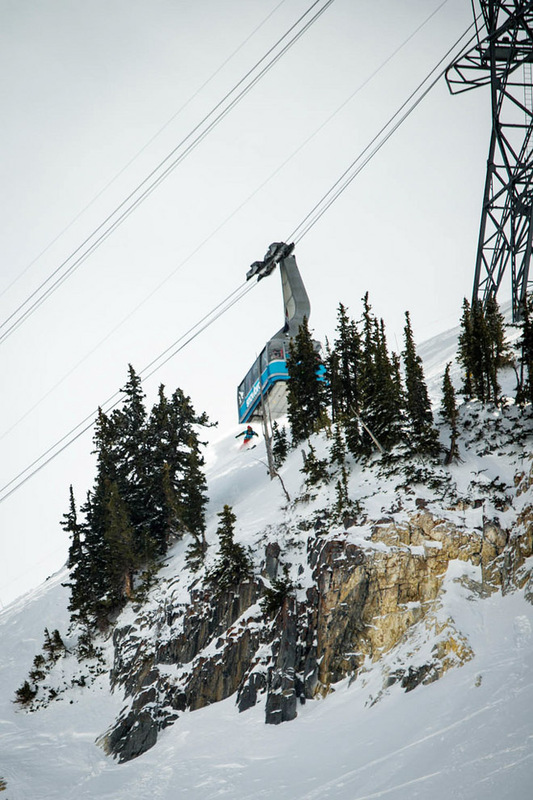 Snowbird has a rich history of hosting freeride competitions with it’s North Baldy Face a highly rated venue. The comp was set to go on Sunday on North Baldy but as ski patrol were doing their final venue safety checks, a small hand charge triggered a huge slide down the venue. 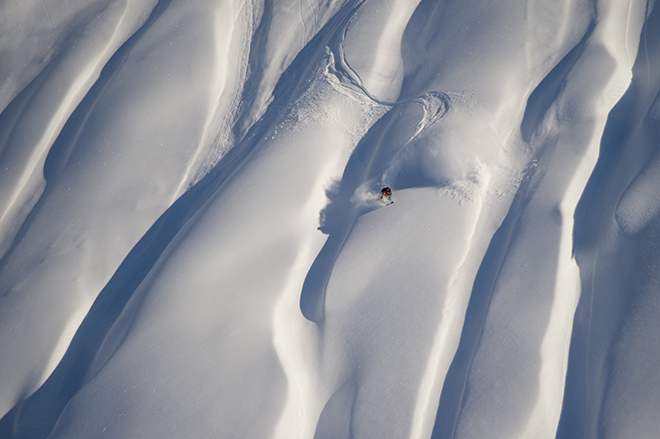 With a crown wall of over 2m the avalanche ended any chances of the competition being held on that face. The event organisers were forced to look for an alternate face at Snowbird, the final decision was to hold it on the smaller, more mellow Silver Fox face. Although not ideal it was the only option as the comps time window was almost up. Several inches of fresh snow left the face looking good and our trio of Kiwis were set to take it on. Unfortunately Charlie Lyons suffered a serious ankle injury while training at Snowbird on the weekend putting him out of the event and the rest of the season. That left Sam Smoothy and Neil Williman to represent. Sam dropped in bib #20 charging his way down to the ‘Frenchie’ air, where he went large to stomp. He held his speed down the course with a nice cross-hill air, then a fast tech line through the ‘Smokestack’ finishing up with another high-speed air off the bottom ‘Field Goal’ feature. The judges liked it and scored him a 86.50 for third spot. A stoked Sam managed to swear again on live TV but quickly apologised to his mum for his excited indiscretion! Neil was up not long after in Bib #25, he dropped into a very similar line to Sam and hit the ‘Frenchie’ Air with pace going huge, unfortunately he back-slapped heavily and lost his skis in an effort to recover. Another unlucky result for Neil who was coming off the back of some great results in Europe on the FWQ series. 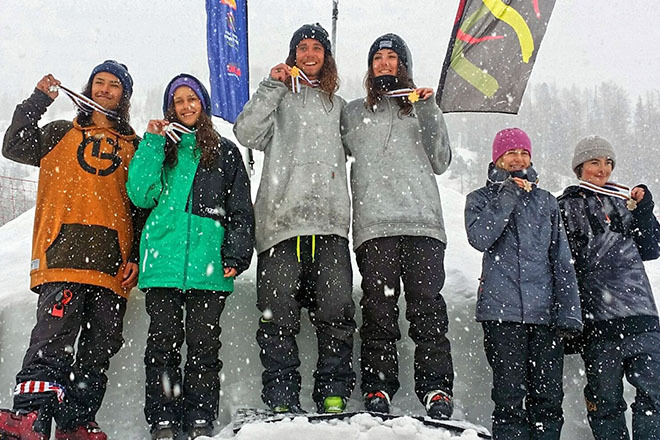 Local American Skier Lars Chickering-Ayres took the win with Swiss charger Jeremie Heitz in 2nd and Sam held on to 3rd, notching up another FWT podium. He held his 2nd position overall on the tour standings, closing the gap between himself and Loic Collomb-Patton at the top. At the end of the day the small Silverfox face worked out well for the event and although the judges had a tough day trying to separate the field, everyone seemed happy with the results, apart from a couple of Frenchies. With most of this years stops being affected by the snow conditions the FWT organisers will be hoping that the final regulation stop in Revelstoke delivers them the face and conditions they are after. 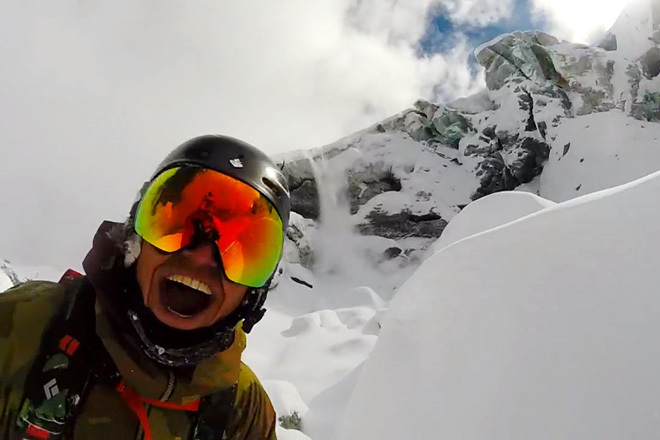 Keep tuning in as the Revelstoke comp’s window starts on Sunday 9th March.